Your teeth can be at risk of trauma while playing different sports. Teeth can also be damaged if you grind them while sleeping. These activities seem unconnected, but have similar remedies. One wrong bump or tumble during play can lead to a chipped or lost tooth. Sports Guards are fitted for the shape of your teeth and help to protect them the same way a shin guard would protect your shins. At night some people clench or grind their teeth. This is actually a condition called "bruxism". It can cause serious problems to the surface of your teeth and even chip or crack them. 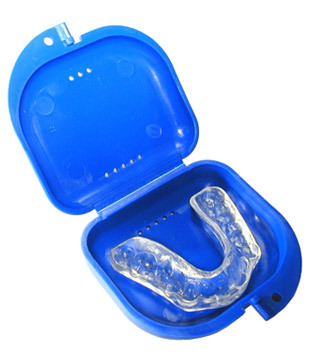 Our bite appliances are comfortable enough to sleep with them in and they protect your teeth. Dental Health Centre can protect your teeth. If you need more information about Guards, Bite Appliances in Dieppe, contact us today.